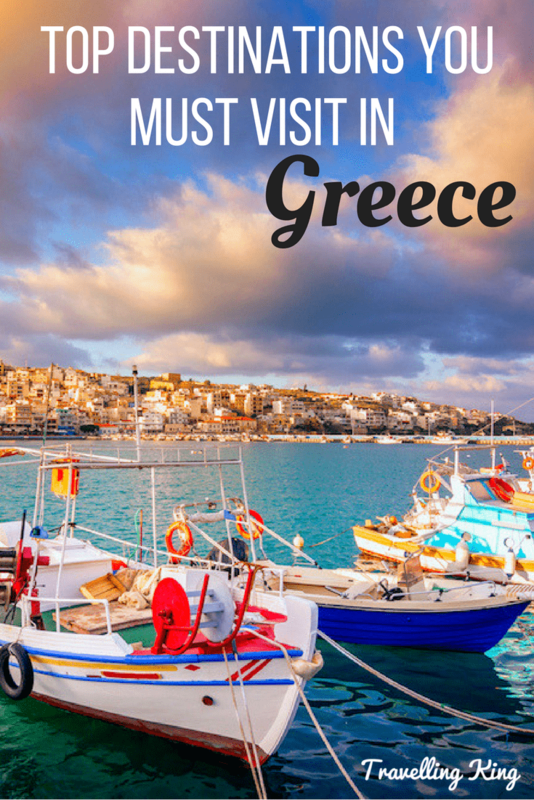 One of the most beautiful countries in the world, Greece is a country packed full with history and culture that has shaped the modern world. The birthplace of philosophy, literature and theatre, Greece has given us writers and thinkers like Sophocles, Plato and Aristotle. It also has a long history of music and dance which continues to this day! 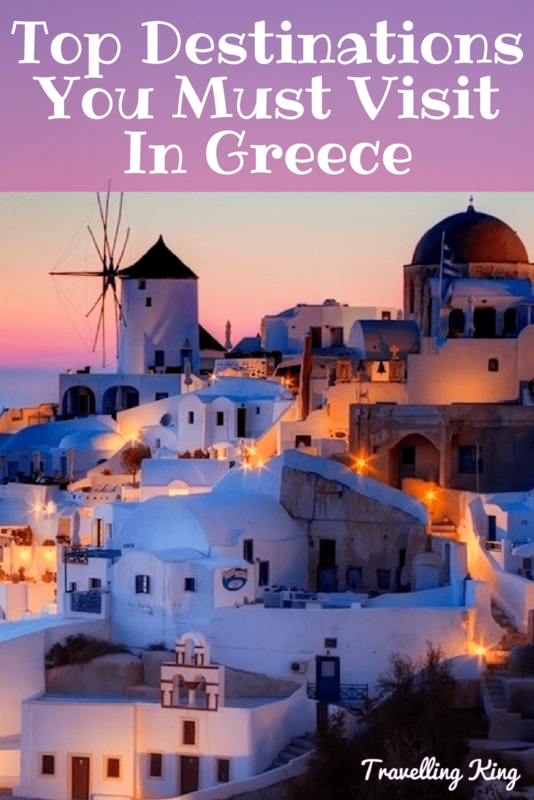 Here’s a list of Greek destinations you must visit to make the most of your trip to this historic and fascinating country. 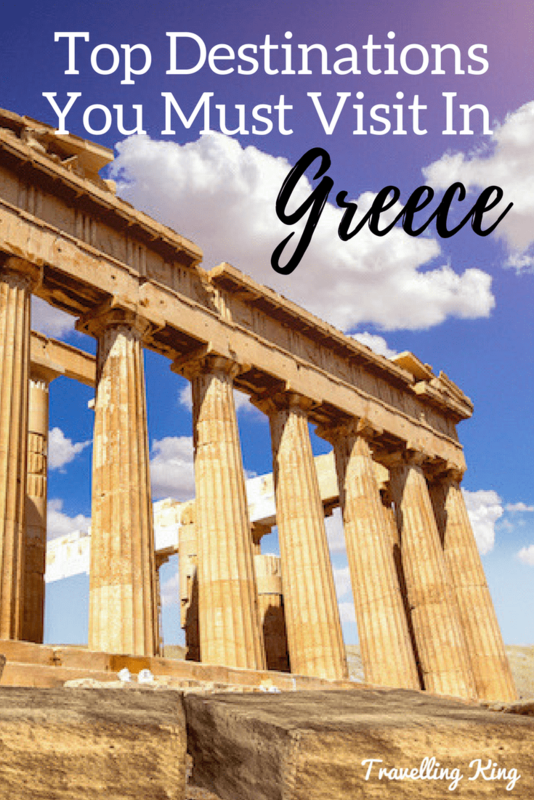 The capital of Greece, Athens is an essential place to visit if you want to explore the country’s history. The Acropolis is the most important ancient site in the Western world, an ancient citadel that contains the Parthenon, a former temple dedicated to the goddess Athena that was completed in 438 BC and was the largest Doric temple ever completed in Greece. To find out more about this history, you can visit the modernist Acropolis Museum, before engaging in the city’s lively, bustling social scene in the evening. From bars to clubs to fine dining, Athens’s nightlife has everything to offer to any vacationer. 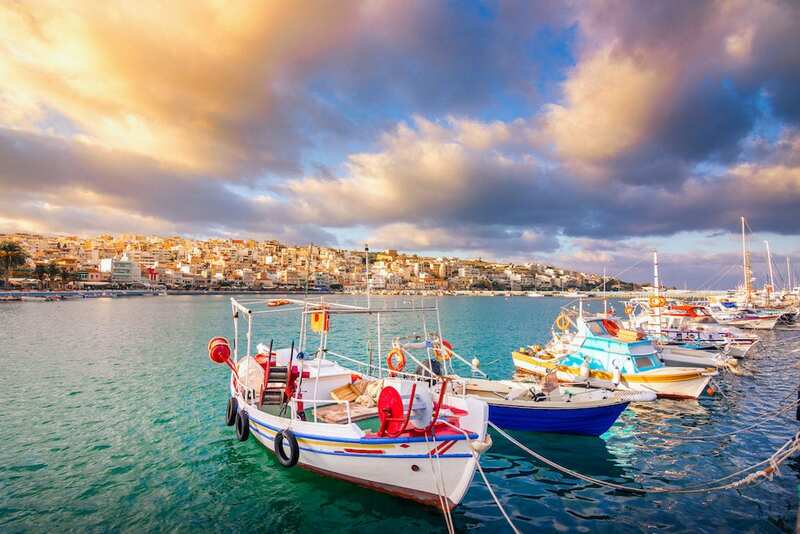 A glorious island that spoils tourists with its rich scenery and pink sand beaches, Crete is the birthplace of the Minoans, the first civilisation who ruled 4000 years ago and left behind the Palace of Knossos, which is the most famous Bronze Age archaeological site on Crete and Europe’s oldest city. Crete’s rugged coastline is home to picturesque beaches as well as small villages where rural taverns provide travellers with simple but flavoursome local cuisine. 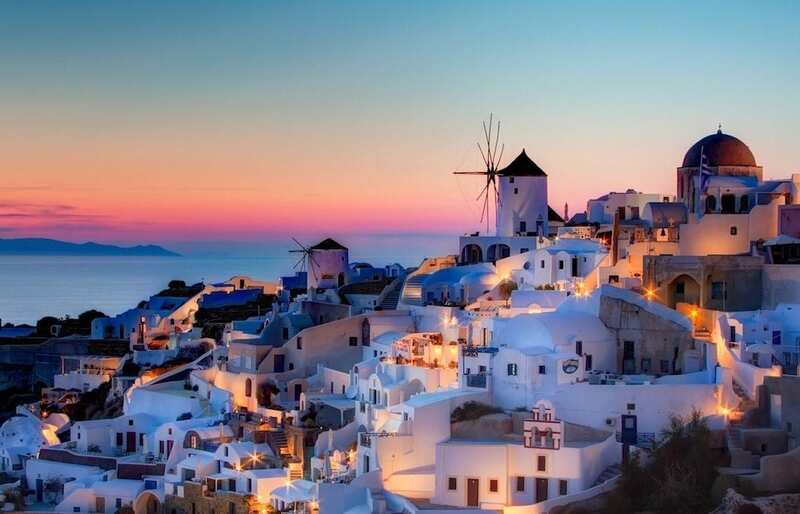 About 120 miles southeast of the Greek mainland, Santorini is in the indigo Aegean ocean that was formed by one of the biggest volcanic eruptions in history. It cradles a caldera (a volcanic crater) that’s 400m in depth and creates a lagoon that’s too deep for most boats to harbour in. A truly spectacular island loved by tourists, Santorini’s main island Thira contains the Bronze Age settlement site Akrotiri, which was buried in ash in about 1627 BC; the ash preserved frescoes and artworks that are still popular with tourists today. Many people staying on Santorini decide to enjoy a little luxury at Santorini Villas, overlooking the ocean so they can contemplate the glorious sunset after a day spent sightseeing or on the beach. Made famous by Louis de Bernieres’s celebrated novel Captain Corelli’s Mandolin, Cephalonia is the largest of the Ionian islands and is a place of considerable natural beauty which offers numerous secluded beaches, mountain slopes and country scenery perfect for hiking and trekking. 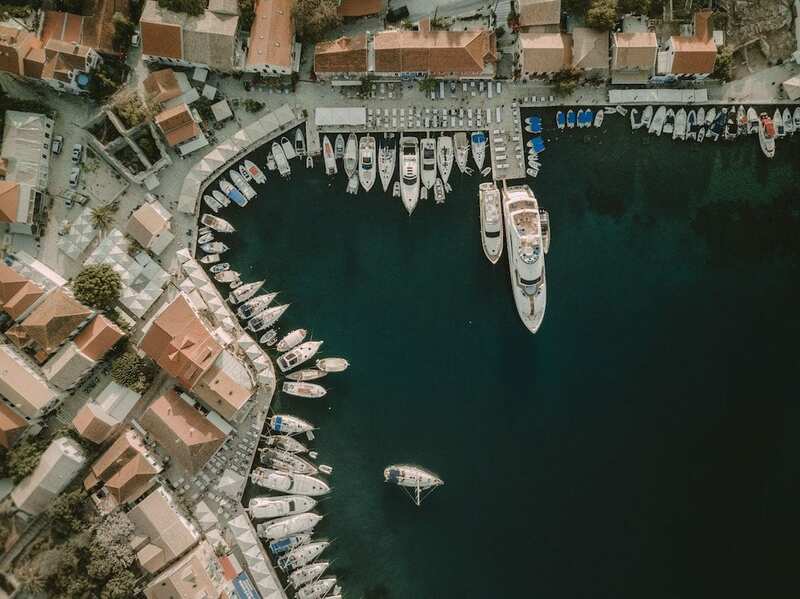 Cephalonia has been occupied by a number of different civilisations over the years and bears influence from Romans, Normans and Venetians, who held the island from 1797 and shaped it arguably the most. Sail around the island to discover its craggy clifftops, turquoise waters and beautiful coves to your heart’s content. The Myrtos beach lies between two mountains and is one of the most beautiful locations in all of Greece, while the picturesque fishing port Fiskardo also shouldn’t be missed.